The vision of the pediatric dentists and orthodontists of Pine Dental Care is to promote and achieve optimal oral health for infants and children through adolescence, including those individuals with special health care needs. At the Chicago office, the regular pediatric office hours are Monday through Saturday, with evening hours during the week as well. Dr. Therese, our orthodontist who is based at the Chicago Lincoln Park office, is currently available on Mondays and Wednesdays. At the Glenview office, our pediatric dentists see patients Monday through Friday. Patients are seen by appointment only. If you need to change your appointment, please tell us as soon as possible so that we can use that time for another family. 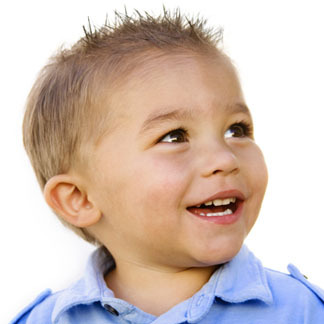 The cost of pediatric or orthodontic treatment depends on the extent of the patient's problem. You will be able to discuss fees and payment options before treatment begins. We have payment plans to suit different budgets, including no-interest financing for orthodontic care. Payment is expected at the time of service. For your convenience, we accept payment by VISA, MASTERCARD, AMERICAN EXPRESS, and DISCOVER. We are not directly associated with any insurance networks, but are happy to assist you in filing the necessary forms to your insurance company for direct reimbursement. We will give you a phone call to remind you of your upcoming appointment approximately 24-48 hours in advance of the scheduled time. In addition, you will receive a reminder card in the mail when it is time to schedule your child’s next cleaning visit. Through our preventive approach to dental care, the need for emergency treatment is greatly reduced. If an emergency does arise, please call the office and we will arrange to see you as soon as possible. If there is a serious emergency after normal office hours, please call our office and the voice mail will direct you accordingly. You may also refer to the separate pediatric dentistry and orthodontic portions of the website for instructions in case of emergencies.